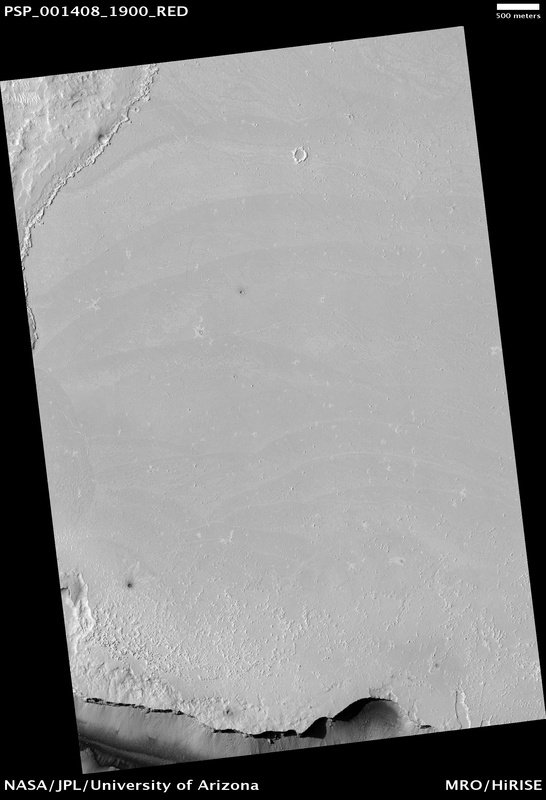 Thin flows cover the plains just north of the source region for the Athabasca Valles channel system. 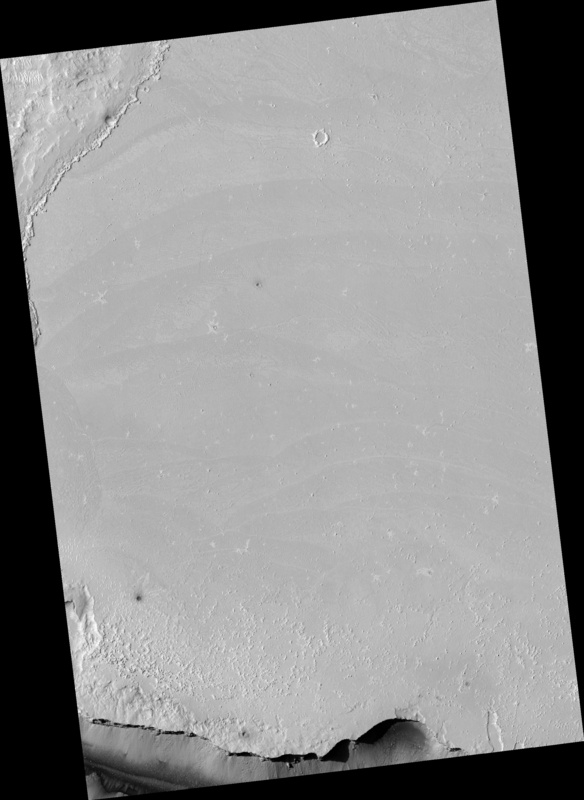 The flows are mostly confined by a scarp (cliff) in the northwest corner of the image. The more heavily cratered terrain above the scarp is part of a tectonic ridge known as a wrinkle ridge. A few flows can be seen atop the wrinkle ridge, but they are not as ubiquitous as those on the plains below. The flows on the plains frequently intersect, with younger ones cutting across older ones. The prominent dark swathes along their edges have particularly rough textures. The darker shade is due to thousands of shadows cast by small bumps on the surface, which HiRISE is able to resolve. Dozens of bright, narrow rifts (cracks) zigzag across the flows. They appear bright because they are filled with light-toned, windblown material. 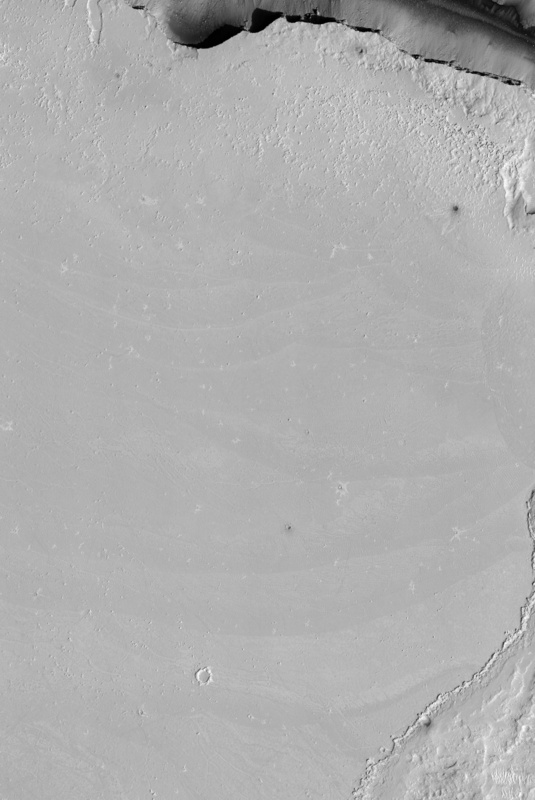 Wind-sculpted knobs and ridges of similar light-toned material are scattered throughout the imaged area. The orientations of the ridges indicate that the winds primarily blow from the southeast. 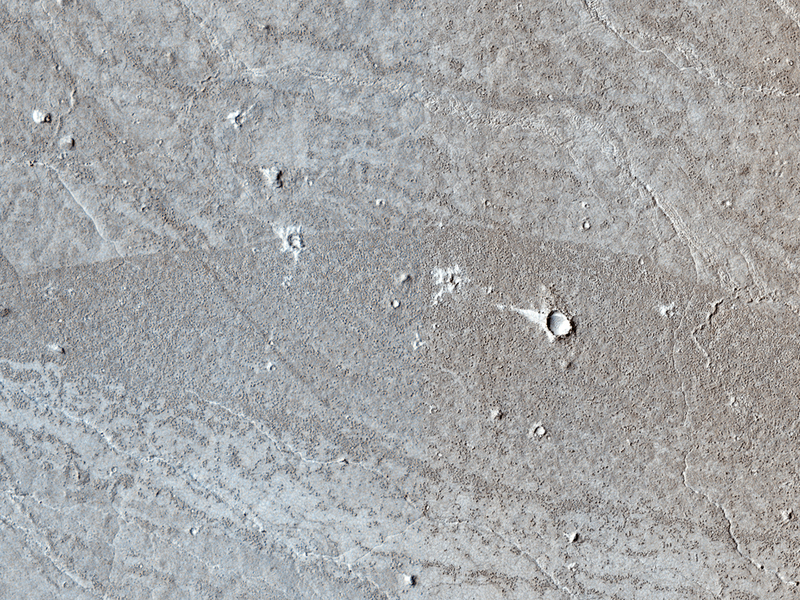 Several impact craters are captured in this image, the largest being about 50 meters (160 feet) in diameter. Many bear the distinctive bright rays characteristic of secondary craters associated with the larger impact crater, Zunil. Some craters penetrated the surface of the flows, and the boulders strewn around them suggest that the material they excavated was rocky.